As a consumer, one of the most frustrating experiences is not getting what you’ve paid for. A new pair of trainers that are never delivered, but that the merchant insists were. A magazine subscription that halts when the publication company goes under. An online grocery shop debited twice to your account. Such problems are often genuine mistakes and are easily resolved; the merchant displays humility, the customer shows understanding, and everyone remains calm. Yet when these problems aren’t resolved, and the merchant and customer cannot agree on a resolution, the customer may dispute the purchase by seeking a refund directly through the bank account. This is known as a chargeback. Approximately 8 in 10 customers admit to filing a chargeback instead of working out issues directly with a seller. This can have significant and damaging ramifications if you are a merchant. In this article, we will explore the reasons why chargebacks occur, and the tools and strategies that merchants can use to reduce their chargeback rate. With a clear understanding of what a chargeback is, how chargebacks work, why chargebacks need to be avoided, and how you can prevent chargebacks — often with very simple low-cost solutions — we hope this guide will help you to create an online store protected from all kinds of fraud. Chargebacks cost merchants in fees, lost revenue and wasted time. They can also have serious implications for processing online payments because if a merchant’s chargeback rate is too high, online payment and credit card processors will be wary of accepting them as merchants since it is they who underwrite the process of buying goods online. 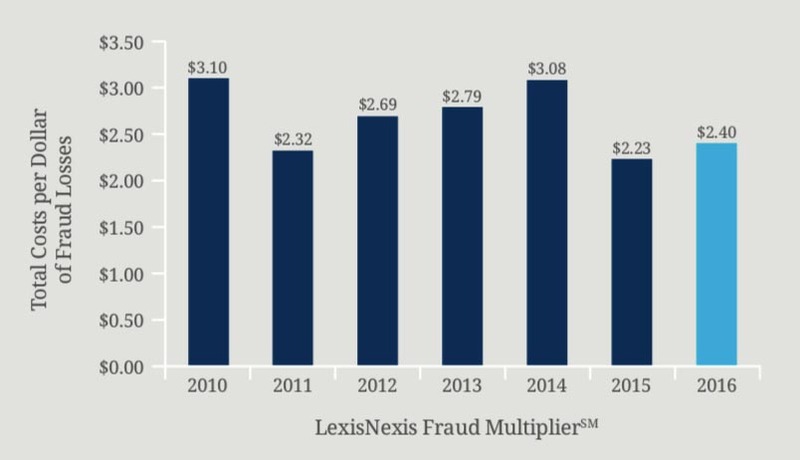 According to the 2016 LexisNexis True Cost of Fraud Study, for every dollar of nominal loss, merchants actually lose $2.40 based on chargebacks, fees, and merchandise replacement. While many merchants operate within an acceptable chargeback rate as defined by their merchant acquirer, the cost of chargebacks is still significant, and therefore any measures that can prevent them are to be welcomed. Not only does dealing with chargebacks result in disruption for the customer and the merchant, as well as potential fees; the customer’s loyalty to the company will be damaged, if not suffering total destruction. While it may not be possible to eliminate chargebacks entirely, it is possible to reduce chargeback rates by putting into place best practices and fraud prevention tools. When a chargeback is requested, a reason code must be given for requesting the chargeback. These chargeback reason codes provide some insight into how it can be possible to reduce the risk of credit card chargebacks overall. When a dispute is raised, and a refund is requested directly from the merchant’s bank, a reason must be given for requesting the chargeback. The following examples provide some insight into why refunds are sought and how merchants can arm themselves against chargebacks. This occurs when an unexpected transaction appears on a consumer’s bank or payment card statement that they believe is fraudulent. The possible causes are a payment card being stolen, a data breach, or if a 3rd party hijacks payment card details through other means. If goods have not arrived, if the charges are more than expected, or if goods are not as described, the customer could draw the conclusion that the merchant is acting fraudulently. Cardholders are protected from these types of fraudulent purchases by the chargeback dispute process, and will have their transaction refunded if the merchant is discovered to be acting unlawfully. Fraudulent merchant chargebacks incur additional fees, risk having their merchant account services withdrawn, or may even face a criminal investigation. In some cases, customers will falsely claim a refund even when the merchant has provided its products or services as requested. The merchant is cheated out of revenue and the cost of any goods dispatched. This type of fraud is called ‘friendly fraud’ because the customer will most likely not be aware of the intricacies of the chargeback process and the additional fees for the merchant. If they were to discover how damaging friendly fraud really is, they probably would refrain from it. Find out more about different types of fraud and ways to protect your site from scammers in this handy guide. If the card issuer receives the same transaction twice (or more) and charges the customers’ card accordingly, the customer may instigate a chargeback. This may happen because of human error, such as the customer or clerk duplicating their purchase inadvertently, or for technical reasons on behalf of the merchant. If services are not provided, and no reimbursement takes place, chargeback proceedings will likely be instigated by the customer. This can happen if the merchant and customer have been unable to agree a time for an appointment or consultation, or if the process of providing that service becomes rather time-consuming for any reason. If products or services do not meet the description of sales or marketing material, consumers may attempt to initiate a chargeback. If they have made reasonable attempts to resolve the issue and return goods, and the merchant has not responded to their satisfaction, then the dispute and refund could well be fulfilled by the bank. If goods do not arrive or if the delivery date is later than expected, a customer may request a chargeback. Delivery can be difficult to prove as often goods are signed for by neighbours or if delivered to a business address, people other than the cardholder. However, in cases of human error where a customer is unaware that their goods have been delivered successfully, a record of who has signed for deliveries can help resolve a chargeback request. As with ‘goods not as described’ if the customer is not satisfied with their purchase and has not been able to secure a refund, they may resort to a chargeback. Cardholders should first attempt to return the item and resolve the issue with the merchant before initiating a chargeback. Customers signing up for subscription services may request a chargeback if they believe they have been mis-sold to, or if they forgot to cancel the subscription / recurring payment according to Terms & Conditions. Recurring payments can have a high chargeback risk as customers often forget what the transaction relates to. Customers may initiate a chargeback believing that a transaction fee is fraudulent when it is in fact genuine. This may be because they have forgotten having made a purchase or they do not recognise the merchant descriptor on their statement. For example, if they purchased an item from a branded eCommerce store, but the merchant descriptor names the parent company of that brand on the customer’s statement. Other reasons for accidental friendly-fraud can relate to the points above, such as non-delivery when goods have been delivered but the customer is unaware. Creating a successful online store and reducing chargebacks means being open and honest with your customers, and choosing the right partner services, such as your payment gateway services. Chargebacks resulting from mistakes or miscommunication can be prevented by improving customer services. Managing consumer expectations and increasing the level of communication on websites help to ensure that customers contact the merchant, rather than their issuing bank. A great example of a payment gateway provider with the essential experience to help merchants to create online stores with minimal chargebacks is Secure Trading. Ensure that product descriptions and marketing materials are accurate and that goods or services do not make false claims that may result ‘goods not as described’. Ensure that delivery times are clearly stated on websites, invoices and order confirmations. Shipping costs should be made clear throughout the checkout and payment process. Make sure your shipping provider is reliable and trustworthy. Packaging should also be adequate for protecting the contents, helping you to avoid ‘damaged merchandise’ claims. A clear, easy-to-find refund and return policy should be on the merchant’s website and on the confirmation email. Make it easy for consumers to return goods if they are not satisfied. Consumers will often want support out of normal working hours. The cardholder’s issuing bank will have the facility of customers to raise a chargeback dispute 24/7, so the merchant should also be available to resolve issues at the consumer’s convenience. Customers expect a timely response to enquiries whether sending an email, leaving a voicemail or messaging a business on social media. All channels should be monitored, and requests and enquiries dealt with quickly. Ensure that consumers recognise a transaction by ensuring the merchant descriptor used by the card scheme is clear. Recognisable names such as the brand name for an online store or trading name result in fewer chargebacks than parent company and holding company names. One of the key reasons that consumers take their problems to their credit card companies and issuing banks is because they are unable to find out the best way to get in touch with the merchant. Make sure that details such as contact numbers and relevant email addresses are given. You also need to design your eCommerce site with fraud prevention in mind. The best way to do this when designing your online shop is to partner with services with experience in fraud prevention. X-Cart combats chargeback fraud using a tool called Kount. There are, of course, many other ways to counter fraud. When a chargeback request is filed the merchant must decide whether to accept the claim or dispute it. Disputing the chargeback involves submitting supporting evidence — usually within 5-10 days — including documents such as the returns policy, signed delivery receipts and email communications. 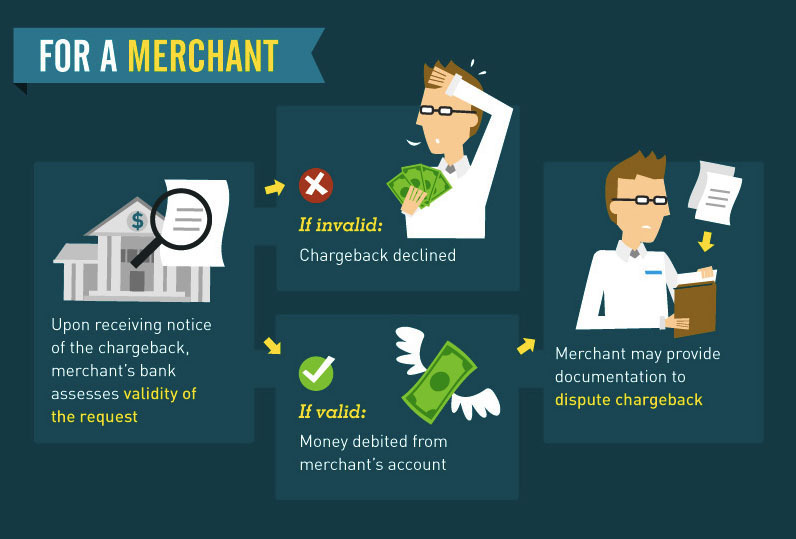 Here’s a simple infographic from Chargeback, showing credit card dispute process. Take care if you are a merchant selling digital goods such as e-tickets, subscriptions, downloads, and software, as it can be difficult to prove that goods have been delivered. The issuer agrees that the chargeback is not valid and returns the refund to the merchant. The issuer does not agree, and the chargeback stands. The issuer instigates a pre-arbitration case and requests more evidence from the merchant. The case is then reviewed again with point 1 or 2 as possible outcomes. Ignoring a chargeback request is not an option, as merchants will face significant fines. Chargebacks will always be a risk for online merchants, but by following these simple guidelines, the rates of these can be reduced significantly. When starting an online store, make sure that you tick off all the above suggestions to avoid chargebacks. It’s simple to pre-empt and subsequently dodge chargeback requests by having clear and consumer-friendly processes in place for handling returns and refunds, and for dealing with queries or complaints. Make sure that you choose payment page services with the necessary experience of helping you to avoid chargebacks and keeping your customers satisfied. 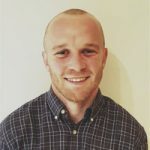 Ollie is a marketing content writer at Secure Trading, a payments company offering flexible, international payment solutions for merchants. Ollie enjoys helping to make complex topics in the payments industry as easily accessible and understandable as possible.